The Gap Close trading strategy focuses on price gaps which can occur between a forex pair’s closing price Friday and the same pair’s opening price Sunday night. The strategy tries to benefit from gaps which close again either quickly or in the next two days. The strategy can be used on all forex pairs. The strategy is easy to use and easy to understand. An automatically updating table indicates any gaps not yet closed on Monday morning. The Gap Close strategy can be used on all forex pairs. It is based on 5-minute charts. The strategy automatically detects gaps, which occur over the weekend, in the forex market. In order to determine if a gap occurs on Sunday evening the market has to open a certain amount above or below Friday’s close. When the gap is larger than a predefined size, a signal appears and the chart background is coloured. When the gap is smaller than a predefined size, there is no signal. 2. WHEN TO OPEN A POSITION? The default setting in the strategy for a gap is a difference of 0,5% between the close on Friday and the opening on Sunday. Traders can change this value. As usual this can be done in the Designer dialog or directly in the chart. Gaps can occur upwards or downwards. A downwards gap results in a buy signal. An upwards gap results in a short sell signal. If a gap is identified, the signal will occur after the first 5-minute candle on Sunday. This example shows a downwards gap and thus a potential buy signal on the EUR/NZD forex pair. This example shows an upwards gap and thus a potential short sell signal on the EUR/JPY forex pair. 3. WHEN TO CLOSED A POSITION? The Gap Close strategy uses two profit targets and a stop loss to protect the position. The first profit target corresponds to half the distance of the gap. The second profit target corresponds to the full distance of the gap. Traders tend to open positions which can be split into two, resulting in an equal position size for each profit target. Other split ratios than 50/50 are possible. These can be set, as usual, in the Designer dialog. The stop loss is a fixed stop. This stop is in essence a safety net as it is placed relatively far from the entry price (default 1.000 ticks). What to do when the target(s) are not reached and the stop is not triggered? Manually close the position on Wednesday. The example shows a short sell signal on the EUR/NZD. Half of the position is closed when the first target (half the gap, green line) is reached. The other half of the position is closed when the market closes the gap. The red line indicates the stop order. Forex gap close strategies on Sunday evening when the market opens at 23h00 CET are very popular. Some traders, however, prefer to start trading only on Monday morning. This table, which updates automatically, indicates any gaps which are still open on Monday morning at 6h00 CET. 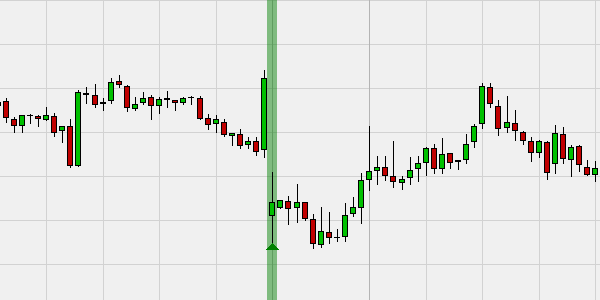 The Gap Close strategy is traded in a 5-minute time frame and can be used on all forex pairs. The number of signals per pair is fairly low. Hence traders should look at many forex pairs either on Sunday evening at 23h00 CET or on Monday morning at 6h00 CET. 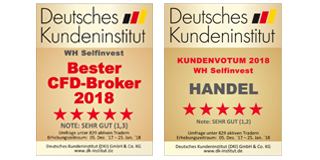 "It gives me great pleasure to inform you that WH SelfInvest scores 5 out of 5 stars with the BEST possible mention , "extremely good" (1,3). This makes you de best CFD-Broker for 2018. Congratulations!" Order execution: 5 out of 5 stars. Mention: very good (1,2). Trading platform: 5 out of 5 stars. Mention: very good (1,1). Mobile trading: 5 out of 5 stars. Mention: very good (1,1). Customer service: 5 out of 5 stars. Mention: very good (1,4). Test a free real-time Demo of the NanoTrader Full trading platform.